Is a Double Stuf Oreo really “double the Stuf”?!? An in depth study performed by a group of high school students out of New York proved that just like the Subway “footlong”, we have all been tricked out of an actual double stuffed oreo!!! 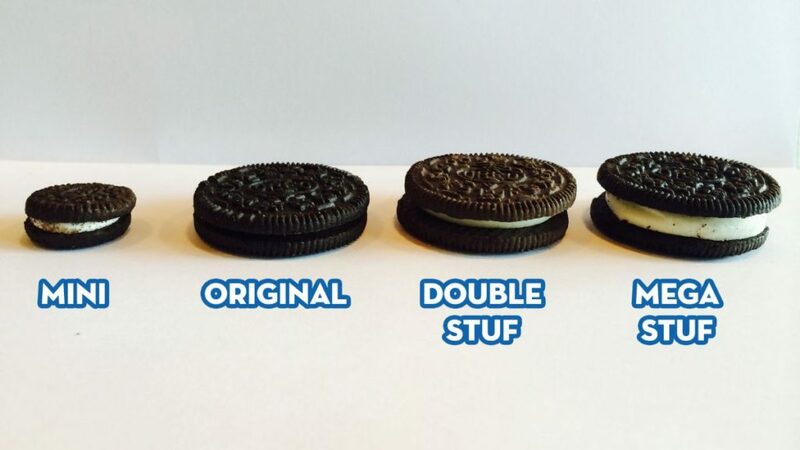 The Double Stuf Oreo actually only contains 1.86 times the “stuf”, and the new Mega Stuf Oreo only contains 2.68 times the “stuf”. Check out this article or pick up and sleeve of Oreos for your own personal experiment!